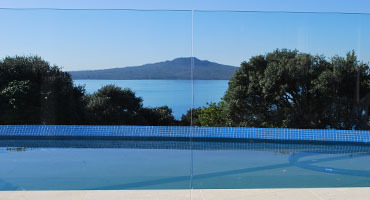 We offer an Auckland wide glazing service specialising in the supply and install of new glass, table tops, cat doors (installed to glass) and safety glass. We work with all the major insurance companies if it is a claim. Our glaziers are equipped with all the necessary tools and most types of glass (older glass types are occasionally discontinued) to carry out prompt new glazing work or glass repairs. Our staff take pride in their professionalism and are proficient in all forms of glazing, so your glass will be replaced in the fastest possible time. Haynes replace glass for windows, doors and screens. Our glass repair team typically focuses on the South and East Auckland region from Howick, Pakuranga, Papatoetoe, Flat Bush and Botany through to St Heliers, Mission Bay, Ellerslie and Remuera. Our new glazing and larger projects team cover the whole Auckland region. Contact us for a quote today. Offer your cat the freedom to come and go as he/she pleases by installing a new pet door. We can install a new door into your existing glass doors or incorporate them into new ones. If the panel is safety glass we manufacture a new piece of glass with a pre cut hole. This process takes a couple of extra days, but allows for much more flexibilty in glass size. If you already have a cat door, then we can install that for you too. Custom size and suitable for indoor or outdoor use, a glass table top on a nicely finished surface can really enhance its sophistication and style. A Custom Glass Table Top is an excellent, modern way to enhance and protect your interior and exterior furniture. A Haynes Glass Table Top protects from spills, dents and scratches. A glass table top on a nicely finished surface can really enhance its sophistication and style. Glass is commonly used for dining room tables, coffee tables, TV cabinets, side tables, shelves and bedside tables. We offer a range of styles and shapes from simple circles and rectangles to more complex ovals and unusal shapes. We can cut your table top to size from your drawings or provide a no obligation on site measure and quote. If your glass table is a complex shape we make a template to cut the glass to. Haynes always glaze in strict accordance with NZS4223 - Human Impact Safety Requirements. For new glazing or after a breakage, in many cases safety glass is required. Toughened or laminated safety glass take an extra couple of days to process the glass for a repair, but we are around quickly to measure and board up the window. Dealing with all the major insurance companies to have your glass replaced. Hassle free. We deal with all the major insurance companies. If youve had an accident and its covered, simply provide us with your policy and claim number then we will handle the rest! Most types of glass breakages around the home are covered under poilcy. We offer a friendly, fast, broken window replacement service. We deal with all the major insurance companies. To get that window fixed..
What is the best way to book a reglaze (or new cat door)? The fastest and easiest way to get someone around to fix a broken window is to call us up on 0800 580 680 between 8am and 4pm. We will get you a quote over the phone and can make a booking there and then. Do you dispose of the broken glass? We remove any large glass fragments from in the frame or the immediate area surrounding and take those away with us. Although we try to clear out as much of the glass as possible, we advise you scan the area for smaller glass slivers. Can you only supply the glass? Yes, we can supply glass cut to size and have it ready for you to pick up from our factory. We also offer a delivery service for the Auckland area at a good price. I'm not sure if I need safety glass. How can I find out? For broken glass, an easy way to tell is in the way it has shattered. Toughened glass shatters into many tiny little pieces. Laminated glass will break into shards but generally stay held together by the clear inner film. Ordinary glass breaks into shards and will fall from the frame. Unbroken safety glass around the house will normally have a safety glass stamp. 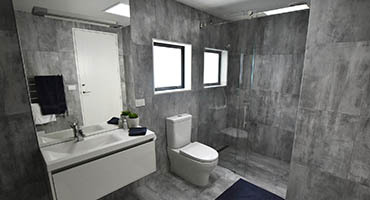 If you are still unsure or have new windows or doors to be glazed, simply let us know the size and location in the house and we will advise over the phone or via email (bathroom windows almost always require safety glass). What brands of cat door do you install? Can you cut holes or install a cat door into an existing piece of glass? We can cut holes into existing class for cat doors, provided the glass isn't safety glass. While we have an very high success rate with cutting holes into existing glass, we take 'all care, no responsibility' for the existing glass breaking. Highly recommend! Fitted a pane of glass and cat door for us, quickly and no fuss and very reasonably priced. We had nearly given up on putting in a cat door after ridiculous quotes from cat door companies, saw an ad in the paper for haynes and phoned up, got a reasonable quote and a few days later we have our cat door fitted. Wish we had found these guys first!